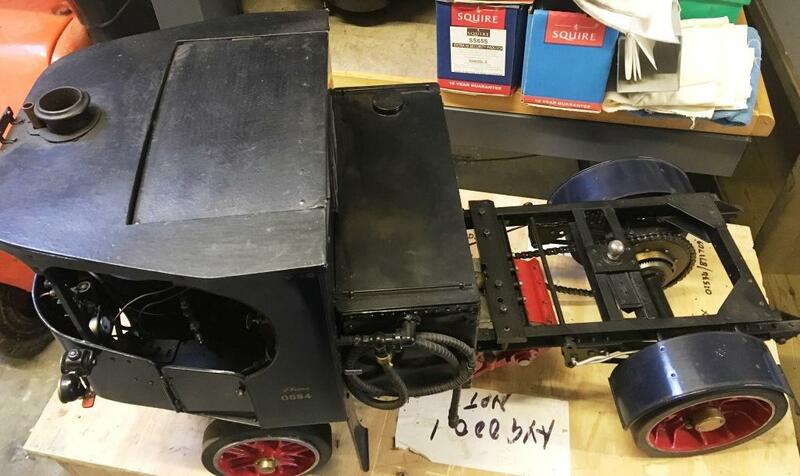 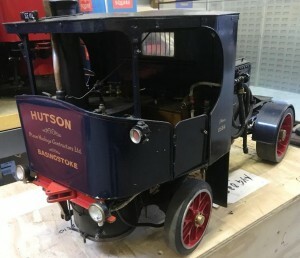 Another version of this two inch steam wagon model. 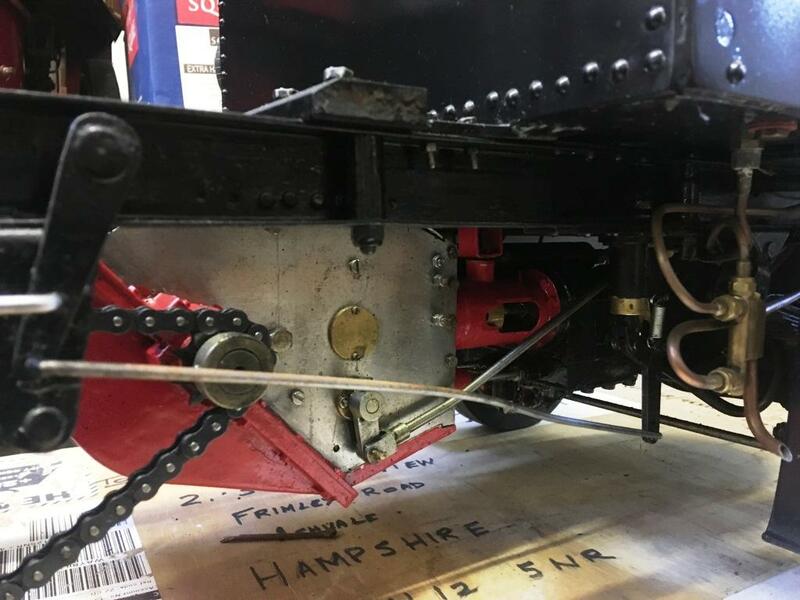 This one has been regularly rallied by the previous owner and has received several very practical alterations to the original design which have helped with running this model under rally conditions. 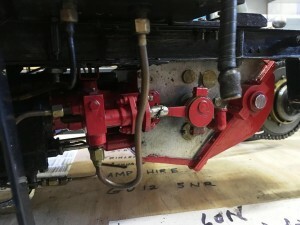 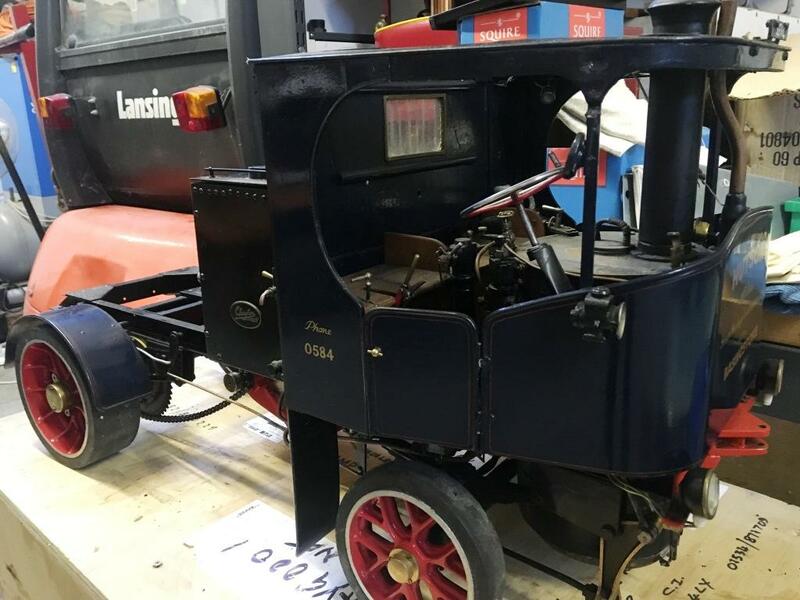 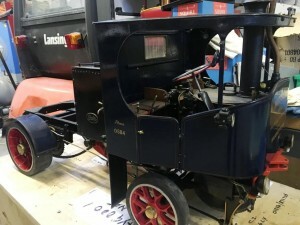 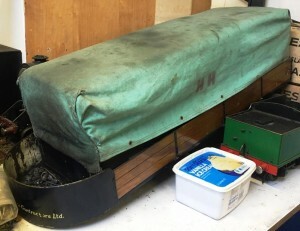 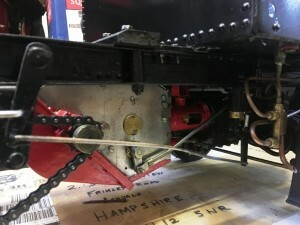 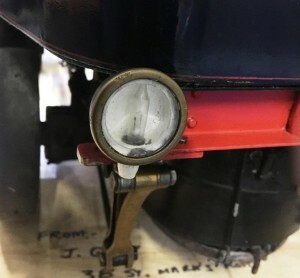 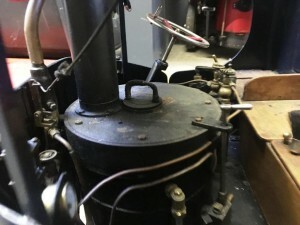 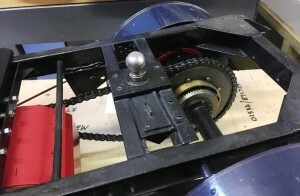 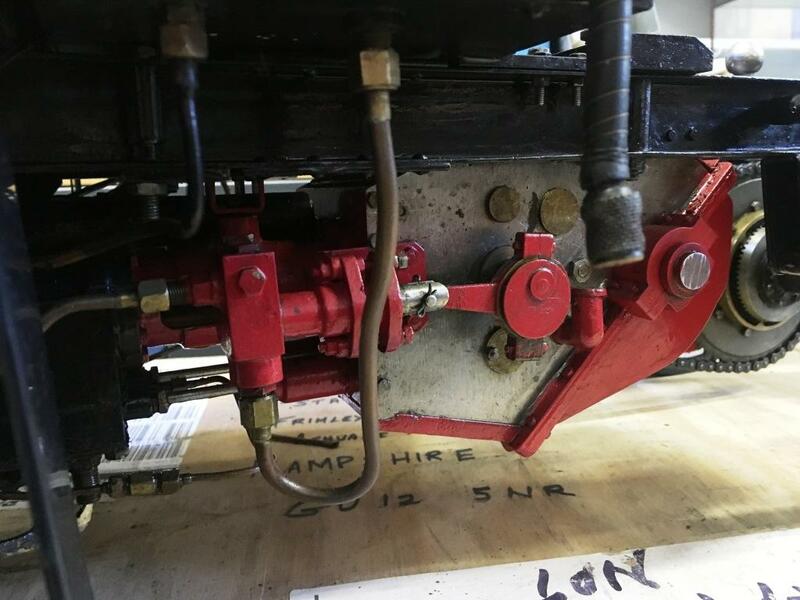 A hand brake has been fitted, the safety valves altered to a much larger single unit and the final drive ration has been change.The trailer has been fitted with a two seat cushion which looks just like the tilt over a normal load, under this is a tool box and additional water tank for extended running.